Our application for the 2019-2020 McNair Scholars Cohort is now CLOSED. 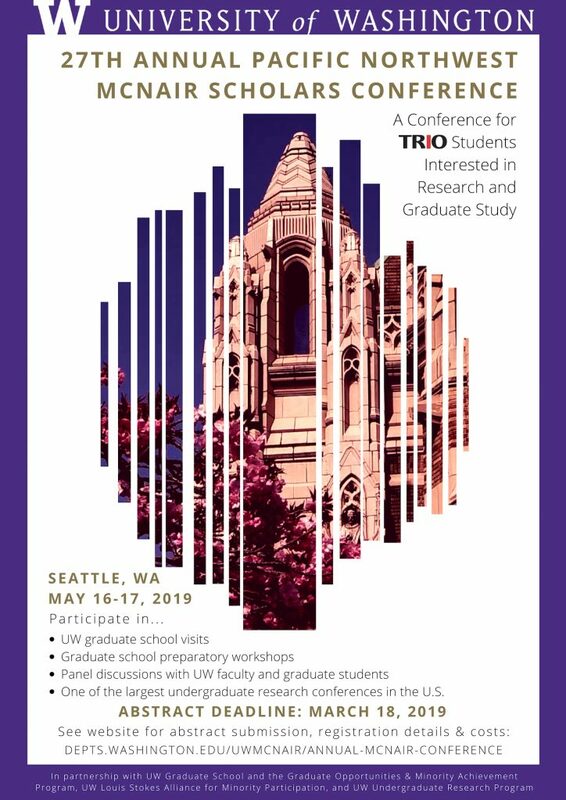 However, the McNair Scholars Program and Early Identification Program can still assist you with your graduate school ambitions. Prior to applying, please review the eligibility requirements. We highly recommend that interested students discuss the application process in person with McNair/EIP Staff. 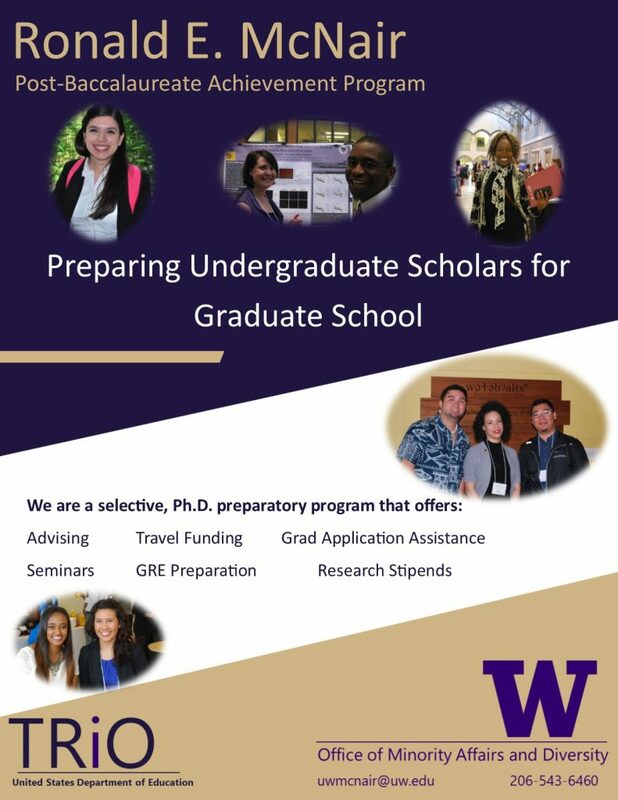 E-mail uwmcnair@uw.edu to arrange an appointment or attend an informational workshop.